After receiving his MS degree, Mr. Nishizawa started his career developing graphics routines for word processors at a software development company. He then worked in the publishing field for more than ten years, conducting interviews, and writing and editing articles and technical manuals in computer technology. He also covered overseas computer fairs and assisted in the promotion of foreign IT companies. As a freelance translator over the next nine years, Mr. Nishizawa broadened his English and technical writing skills. 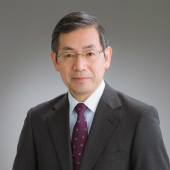 Mr. Nishizawa joined our firm in March 2012 and is now responsible for translation of specifications mainly for electromechanical, physics, automotive, and aeronautical inventions.